General purpose coatings are not heat resistant. They get damaged, burnt, peeled off due to excessive heat. Hence special heat resistant coatings are used for protection of such surfaces. These coatings should be selected with respect to the maximum surface temperature. 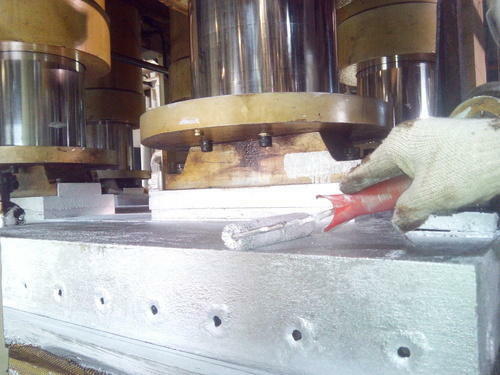 UGAM HEAT RESIST 200 is suitable for surface up to 170 degrees Celsius. UGAM HEAT RESIST 400 is suitable for surface from 170 to 350 degrees Celsius. UGAM HEAT RESIST 600 is suitable for temperature from 350 to 550 degrees Celsius. The coatings suitable above 350 degrees Celsius require curing at 250 degrees Celsius for one hour. UGAM HEAT RESIST 1200 is suitable for temperature between 550 and 1100 degrees Celsius and UGAM HEAT RESIST 1800 is suitable for temperatures between 1100 and 1800 degrees CelsiusAll products are being used by major industries for coating the furnaces, freezer, Ovens, Kiln, Boilers, Chimneys and Heating equipments. 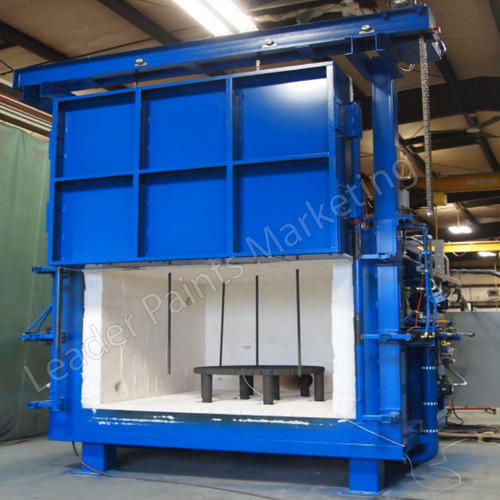 2) Specially used for transformers for coating oil chambers from interior. This Paint work upto 200 Deg C for Chimney, Ovens, Furnace, Boilers. 1) The Ugam H. R. Paints are provided by us is capable of withstanding high temperatures. 3) It is mainly used as heat resistant paint up to 200 degrees Celsius. 4) Ordinary paints do not withstand the temperature up to 200 degrees Celsius and hence application of All products are being used by major industries for ovens and furnaces heat resistant paints is required for such hot surfaces. 5) It is mainly applied directly to the surface but in case there is humid or salty weather, it requires special primer for heat resist 200- REDOXIDE. 6) It is Red oxide in color and has special property of preventing corrosion of the surface. 7) Then this coating is applied for protection of primer as well as aesthetic look to the surface. 9) The Heat Resistant Paint is formulated in tune with the laid international quality standards. 10) Our Ugam Heat Resist 200 is accurately prepared in accordance with the laid international standards. 11) We not only say but in literal sense execute timely deliveries without any delays. 12) Our Heat Resistant Paint (UGAM Resist 200) is economically priced! This Paint work upto 400 Deg C for Chimney, Ovens, Furnace, Boilers. 5)heat resistant paints is required for such hot surfaces. 6) It is used as heat resistant coating suitable upto 400 degrees Celsius. 7) It is suggested mainly for continuous temperatures between 160 and 360 degrees Celsius. 8) In case of humid and salty weather special PRIMER FOR UGAM Heat Resist 400 is used. This is having silver colour and is widely used in industries for chimney paintings and exhaust pipes painting. 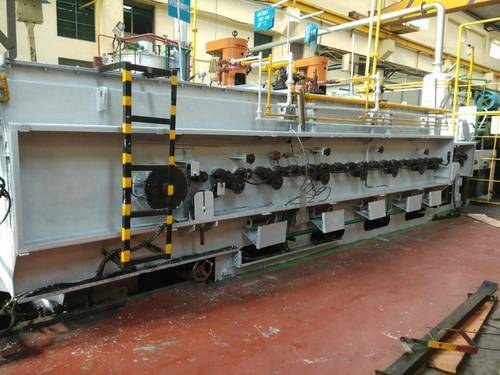 9) This special coating is generally for exterior of furnaces to achieve proper heat despation of exterior surface thereby providing increase life furnace. 10) Then this coating is applied for protection of primer as well as aesthetic look to the surface. 12) The Heat Resistant Paint is formulated in tune with the laid international quality standards. 13) Our Ugam Heat Resist 200 is accurately prepared in accordance with the laid international standards. 14) We not only say but in literal sense execute timely deliveries without any delays. 15) Our Heat Resistant Paint (UGAM Resist 400) is economically priced! This Paint work upto 600 Deg C for Chimney, Ovens, Furnace, Boilers. 3) It is mainly used as heat resistant paint up to 600 degrees Celsius. 4) Ordinary paints do not withstand the temperature up to 600 degrees Celsius and hence application of All products are being used by major industries for ovens and furnaces heat resistant paints is required for such hot surfaces. 5) It is used as heat resistant coating suitable upto 600 degrees Celsius. 6) It is suggested mainly for continuous temperatures between 250 and 550 degrees Celsius. 7) In case of humid and salty weather special Primer for UGAM heat resist 600 is used. 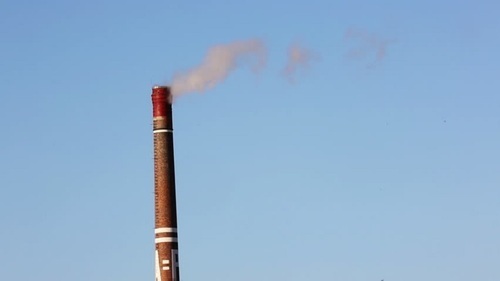 8) This is having silver colour and is widely used in industries for chimney paintings and exhaust pipes painting. 1) The application procedure of heat resist 600 is very easy. 2) It can be applied by brush/spray after mixing it well and thinned down to application viscosity if required. 3) Usually it does not need any primer but in highly corrosive environment, UGAM zinc silicate base primer is advised. 4) The previously applied coating should be removed from the surface by UGAM paint stripper. 5) The paint stripper should be applied to the surface and left for few minutes till the paint starts lifting from the surface. 6) Then the surface should be scraped lightly with the help of emery paper. 7) The surface should then be cleaned by thinner followed by application of one coat of heat resist 600. 8) The surface should be air-dried for four hours. 9) It will be cured when taken in actual use. This Paint work upto 600 Deg C for Chimney, Ovens, Furnace, Boilers. This is Epoxy Silicon base Product. 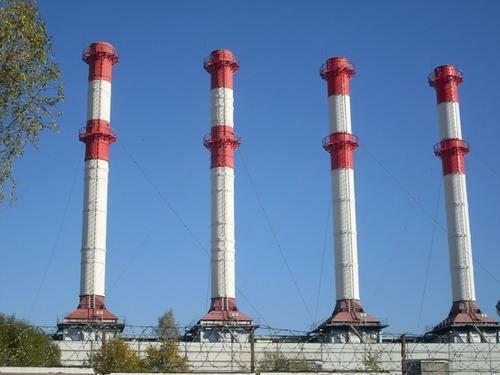 8) This is widely used in industries for chimney paintings and exhaust pipes painting. 1) UGAM HEAT RESIST 600 EPSI. Coating is specially manufactured for coating of parts which come into contact of heat upto 600 deg. Celsius. 2) This coating increases the life of parts on which they are applied for protection. 3) The application procedure of UGAM HEAT RESIST 600 EPSI is very easy. 4) It can be applied by brush after mixing it well and thinned down to application viscosity if required. 5) Single coat of UGAM EPSI PRIMER is required in case the application is to be done for whether resistance requirement. 6) The previously applied coating should be removed from the surface by UGAM PAINT STRIPPER/ Sand blasting or mechanical cleaning. 7) The paint stripper should be applied to the surface and left for few minutes till the paint starts lifting from the surface. 8) Then the surface should be scraped lightly with the help of emery paper. The surface should then be cleaned by thinner followed by application of two coats of UGAM HEAT RESIST 600 EPSI. Minimum four hours time should be given between each coat. 9) The surface will air dry after four hours. It can be taken in use after overnight curing of final coat. 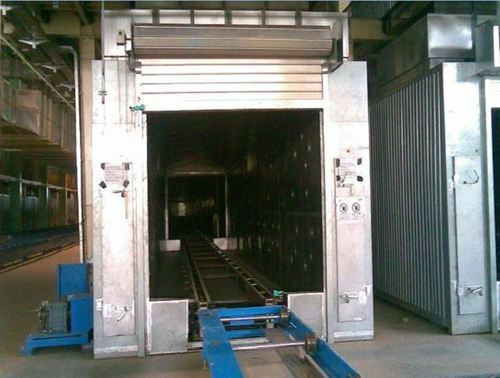 10) The coating will thorough dry in actual use and when temperature exceeds 200 deg C for minimum one hour. 11) The covering per litre is around 90 to 100 sq ft per coat. Depending upon the absorption by the surface. This Paint work upto 1200 Deg C for Chimney, Ovens, Furnace, Boilers. This is Solvent Base Product. 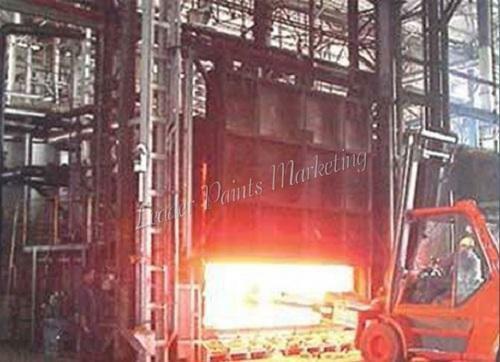 1) Ugam Heat Resist 1200 Coating is specially manufactured for coating of parts of furnaces which come into contact of heat upto 1200 deg. Celsius. 2) This coating increases the life of parts of furnace or the parts on which they are applied for protection. 3) The application procedure of UGAM Heat Resist 1200 is very easy. 4) It can be applied by brush after mixing it well and thinned down to. 5) Ugam Heat Resist 1200 Coating is specially manufactured for coating of parts of furnaces which come into contact of heat upto 1200 deg. Celsius. 6) This coating increases the life of parts of furnace or the parts on which they are applied for protection. 7) The application procedure of UGAM Heat Resist 1200 is very easy. It can be applied by brush after mixing it well and thinned down to application viscosity if required. 8) It does not need any primer. 9) The previously applied coating should be removed from the surface by UGAM paint stripper . The paint stripper should be applied to the surface and left for few minutes till the paint starts lifting from the surface. 10) Then the surface should be scraped lightly with the help of emery paper. The surface should then be cleaned by thinner followed by application of one coat of UGAM Heat Resist 1200. 11)The surface should be air-dried for one hour and then should be heated and maintained to 250 deg Celsius for one hour. 12) If it is not possible to heat and maintain the surface to that temperature for the specified period, the painted surface should be taken in use, without touching it and it will automatically dry in warm conditions within 3 to 4 days depending the amount of heat it receives. 13) Then the second coat in such condition should be applied after complete drying of the first coat. 14) The covering per litre is around 200 sq. ft. per coat depending upon the absorption by the surface. If second coat is desired, it should be applied after curing of first coat as above and bringing back the surface to room temperature and again cured as above. This Paint work upto 1200 Deg C for Chimney, Ovens, Furnace, Boilers. This is Water Base Paint. 13) warm conditions within 3 to 4 days depending the amount of heat it receives. 14) Then the second coat in such condition should be applied after complete drying of the first coat. 15) The covering per litre is around 200 sq. ft. per coat depending upon the absorption by the surface. If second coat is desired, it should be applied after curing of first coat as above and bringing back the surface to room temperature and again cured as above. 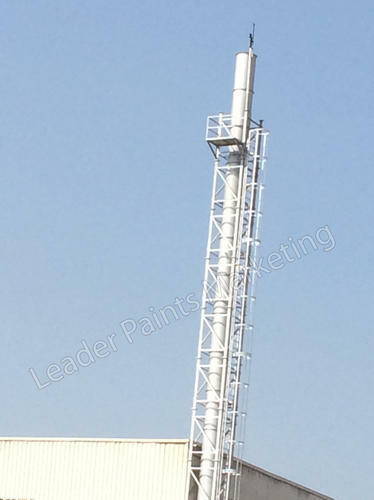 This Paint work upto 1800 Deg C for Chimney, Ovens, Furnace, Boilers. This is Water Base Paint. 1) UGAM H R 1800 does not require any primer. 2) First clean the surface properly. 3) If it is to be applied over metal, little roughening is required for proper adhesion of the product. 4) After roughening clean the surface again. 5) Apply first coat of UGAM H R 1800 by mixing water to binder in 4:1 ratio and adding powder slowly with mechanical stirring till entire powder is mixed. 6) If required more water can be added as per requirement. 7) Then apply coat up to 100 microns thickness in one go. 8) Then after four hours curing, apply second coat in same way. 9) After four hours raise the temperature of furnace @ 50 degrees C per hour till actual use temperature, cool down to room temperature and again apply two coats as above and cure in the same way. 10) Now your furnace is ready for use. 11) If you require more thickness for insulation purpose, you can coat further two times as per procedure mentioned above. 12) The thickness should be determined as per your requirement on small panel first prior to use on large scale. Looking for “Heat Resistant Paint”?